Wow! I can not believe that the end of the semester is here! I am very excited to say that the summary of learning that I created along with Tyler is complete! We had a lot of fun using the “Mission” theme for our assignment. This is the third summary of learning assignment I have completed for Alec and Katia. For my first summary of learning for EC&I831 I used an story telling app Toontastic to create a video that discussed the beginning of my journey and then I created a Prezi to explain what I learned along the way. The Prezi ended with a song that I created to wrap up what I learned about in that class. For EC&I832 I created a video of the book I wrote “Twas The End of The Semester” inspired by the book “Twas The Night Before Christmas.” Since it was December I also created a short Summary of Learning Jingle to the tune of Rudolph the Red Nose Reindeer. For this assignment Tyler and I had many conversations trying to decide on our direction for this project. For our debate we used a green screen to record our presentation so we wanted to try something new. I was wanting to use an app or website that I have not used before and so we turned to… of course Google! When we looked up fun video presentation websites we saw PowToon was one of the options suggested. Tyler and I decided to check out this website to see what it had to offer. You can create your own presentation by scratch and they have some templates that you can use to help get you started for the first few slides. We saw the template “Mission Impossible” and were inspired to use that template to help us create our vision for our project. We got busy discussing highlights that we learned about from each debate and began to figure out what order to include our ideas in the script. It was a lot of fun working with someone on this assignment and it led to many great conversations about the class and all of the different topics that were covered. I am usually very long winded and sometimes struggle with focusing on key ideas and often want to discuss everything so Tyler was very helpful in that area. In the video we had to complete “missions” through researching the topics and had to report back to discuss our findings in the different areas. Tyler and I worked hard at talking about the key things we learned about from each debate and the assigned readings. I would recommend PowToon! Once Tyler and I discovered that we were able to do voiceover per slide in the program that made it go by a lot easier. Originally we were trying to take sound from audacity and transfer it onto the program, but that was not working for us. There were some really neat features and I know next year I want to try using PowToon with my students. I think they would have a lot of fun and it would be great tool for them to use to practice many skills such speaking. They could practice how to speak clearly with expression when they record their presentation. There are so many great tools and websites that can be used in the classroom to allow students to showcase their learning. I loved the debate format for this semester! So many colleagues from this class are at different points in their degree and in their career. Each bringing in a wealth of knowledge and experiences. Also some fellow colleagues were very familiar with educational technology while for others they did not know a lot about digital citizenship and other topics discussed in class. This class shows the power of asking a question or leading with a debate topic can open the doors for a lot of learning to occur. I have been lucky to have some background knowledge on the topics through previous classes and each week I learned so much. I was able to expand on my prior knowledge and the debates allowed me to think critically about technology in many different contexts. This class was a great way to finish my Master’s degree in Curriculum and Instruction because it has helped me to continue to shape my pedagogy. The debate topics have allowed me to think a lot about technology and what I need to be teaching in my classroom to support my school division’s motto “success for all my students.” All of the classes that I have taken over the past two and a half years has helped me shape my philology of education and my education beliefs. I encourage you to check out Kayla and Chaylyn’s summary of learning! They used PowToon for their project and they even used the same template! It is neat seeing how different websites and apps can allow people to put their own creative spin on their project and allow each piece to look awesome in their own unique way. There are so many talented educators in my class and I encourage you to check out the blog hub to read their reflections and check out the videos that they created to showcase their learning. Here is our summary of learning! A quick shout out and thanks to Tyler! I enjoyed working on our debate and our summary of learning together. Also a huge thank you to Katia, Alec, and everyone in our class. I have learned so much in these last two months through the debates, reading your blog posts, and exploring the resources that everyone has shared through Google+, Twitter, and their blogs. Wow! Tuesday evening was filled with lots of learning! Bob, Katherine, Ian, and Ainsley did an amazing job presenting their sides on the debate topic- Technology is a force for equity in society? I have been struggling to begin this blog post because my mind has been bouncing back and forth not knowing where to start. 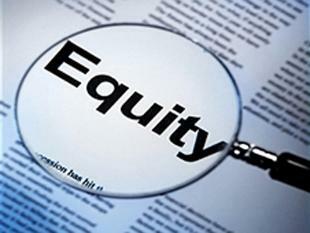 I decided to first to examine the word equity and I turned to the online Merriam-Webster’s dictionary to help me wrap my head around what equity was defined as. The simple definition in the online dictionary states equity is “fairness or justice in the way people are treated” and the simple definition for equality is “the quality or state of being equal: the quality or state of having the same rights, social status, etc.” Then I began to explore equity in education and began to reflect about my experiences as a educator and a student. 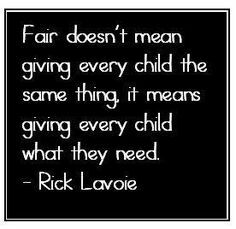 What does fair look like in education ? 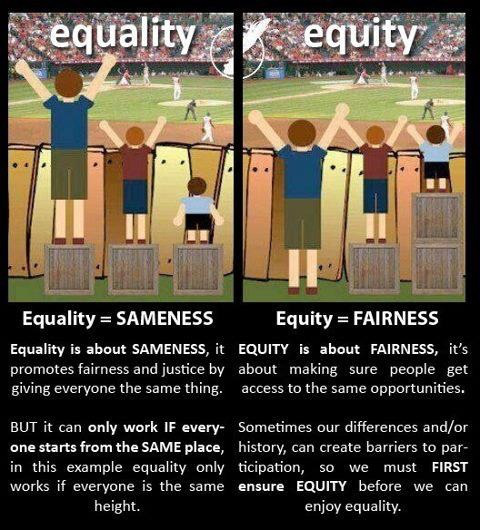 I agree that “Fair doesn’t mean giving every child the same thing, it means giving every child what they need.” As depicted in the picture as a teacher I could give each student the same the guide reading lesson or tool to use in the classroom, but is that equality helping each of my students? No it is not…Every student is unique in their own way and deserve to have the opportunity to learn and grow through differentiated instruction. In order for each student to be successful I need to provide my class with different supports to help make sure everyone can reach their full potential. Does technology help bridge the gaps and make education more equitable? I thought the courses were free? If I did not have a lot of money I would be disappointed that maybe a course that I wanted to take was not free and that I would not be able to take it because I could not financially afford it. On the website does state “financial aid is available for learners who qualify”, but how do people qualify? How many courses/classes can someone qualify for? How much does the financial aid cover? One way MOOCs have changed education is by increasing access. MOOCs make education borderless, gender-blind, race-blind, class-blind and bank account-blind. Up to now, quality education – and in some cases, any higher education at all – has been the privilege of the few. MOOCs have changed that. Anyone with an internet connection can have access. We hear from thousands of students, many in under-served, developing countries, about how grateful they are for this education. There are a lot of really benefits for using the flipped classroom model. Students actually have time to be engaged in the learning in the classroom,have the chance to have meaningful conversations and more work time instead of just listening to a teacher lecture. They can listen to their teacher from home and have the opportunity to play the lesson back as many times as needed to understand the material that is being presented. If teachers use the flipped classroom model are they creating more of a divide in their classroom? Are they adding more stress on the students who do not have the same access as other students in the class? 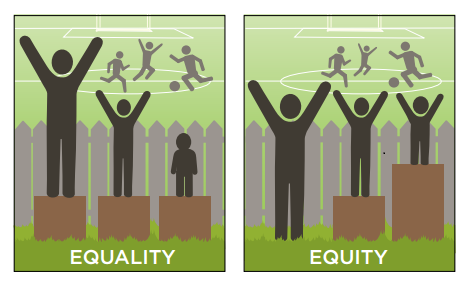 Does Technology Create Equity in Society? When I was first reading this I did not know what to think! Wormeli stated that “it’s incumbent upon us as educators to do everything we can to help our students meet the high standard.” I think it is important for all students to be given the opportunity to succeed and reach for a personal best. How does a teacher help a student meet these standards? In the post it was discussed it would “likely mean allowing different paths to reaching the standard, and providing ongoing, descriptive feedback to students as they are working to meet the standard that has been set: what is working, what is not working, what else they might try.” To illustrate his ideas during the presentation he shared cartoons to show case how the other animals could climb the tree. 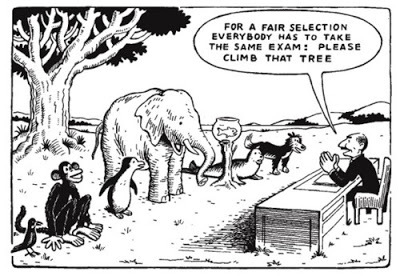 This picture of the fish (Photo Credit: Mulder’s Photo from Wormeli Presentation) is just one of the examples of the cartoons that he shared to demonstrate the importance of providing students will multiple pathways. The pictures also made me think of our debate and how many of those animals used assisted technology to help them climb the tree. While I am in this class because I believe using technology is the way of the future of education, I also know that you can not replace good teaching. Yes these tools are amazing and they can help your student develop a deeper understanding of what concept you are attempting to cover, but if you are not using them appropriately they are as useful as a dried up ball point pen on a Scantron sheet. I think Kyle made a valid point that these tools are amazing, but teachers need to know how to effectively implement them in the classroom. He raises another great point in his blog post about the cost in time and money invested in teaching educators how to use the tools in their classroom with the examples he provided. I also think it is vital that students need time to understand how to use the tools being provided to them. If students are not trained in how to use it to benefit his or her learning then it just becomes another gadget that the child may not take good care of. I believe if a student knows how to use it and they are benefiting from the technology then the child will take care of the device. Student’s would not want to damage something that is helping them in a positive way. Technology can open the doors and provide so many opportunities and paths for people…But at what cost? Bob and Katherine introduced me to a new technology that I did not know existed. Technology can not only help in education, but in health care system as now there are robots delivering health care in Saskatchewan! It is amazing how this technology gives people opportunity to see specialists without having to spend so much money on travel, but how much does this technology cost? I am guessing that this technology is not cheap as there would be more robots made available and how much does it cost to train the doctors and staff to know and understand how to use this technology effectively? Just like in education technology is helping to open the doors for equity within society, but it will not reach everyone as money is always a huge factor. 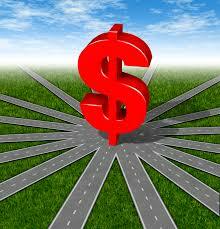 It costs money to train everyone and purchase the technology! When students and patients are able to access the technology/tools and everyone knows how to implement it effectively then I think technology is very beneficial. Let’s Google it?!? I was struggling with how to start this post, but this photograph on Meme Generator inspired me with my direction! Actually when I first read the debate topic I believe this is what my face probably looked like. I had to first understand the wording of the topic for the debate before I could begin to choose a side. I could relate to Ellen because I also found this one a little bit tricky. Ellen raised an excellent point about if she was a History or a High School Social teacher that she “might not need to teach specific dates in History anymore, since these can easily be Googled” and that she “should, however, focus on questions about the events impact today.” I would not have students learn about dates either. I can remember teachers wanting my classmates and myself to memorize small specific details when we were in middle years and high school. I created little verses, songs, or sayings from using the beginning letters of events, names, or dates to help me remember everything when I wrote a test. As soon as the test was over I tossed it from my short term memory and I do not know if I would have been able to recall the information a few days later. For me personally I enjoyed when we were provided the time for class discussions and when we did hands on learning. In my second year of teaching I taught at the elementary school and I also taught grade seven and eight arts education at Gordon F. Kells for the last period of the day. My principal Tyler taught Social Studies and History at Gordon F. Kells at the time. I can remember the students in his History class being so excited after class one day when he set up a learning experience outside for them. They were learning about World War One and he wanted to teach them about the rolling barrage. He could have gave them hand outs explaining what a rolling barrage was, have students do research, or they could have watched a video, but instead Tyler created a hands on learning experience using water balloons. The experience was how he introduced rolling barrage to them! If you teach History I encourage you to talk to Tyler about his lesson. (I do not want to explain the lesson wrong.) If was able to learn about History by doing interactive lessons I know I would have not tossed out so much of the knowledge I learned from my short term memory as I described earlier in my post. The way The University of Texas describes experiential learning and the principals of early learning in the Saskatchewan Play and Learning guide connects very well to what Musallum’s beliefs are. I think often in schools teachers want to get to the content part of the lessons because there are so much to cover in just one year. I think this leads to not providing time or enough time for students to be curious and wonder about the topic. I know personally next year I want to provide more time to my students to reflect about their learning and make connections before we move onto another unit. 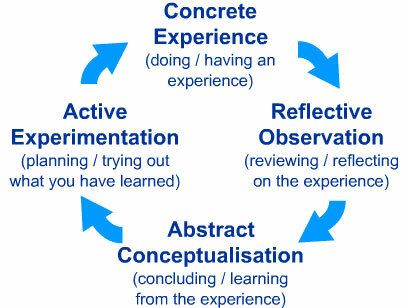 A lot of learning can be discovered during the reflection process. 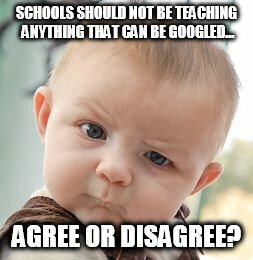 If students just went to Google to find the answers all of the time are they truly understanding and retaining the knowledge they are discovering? 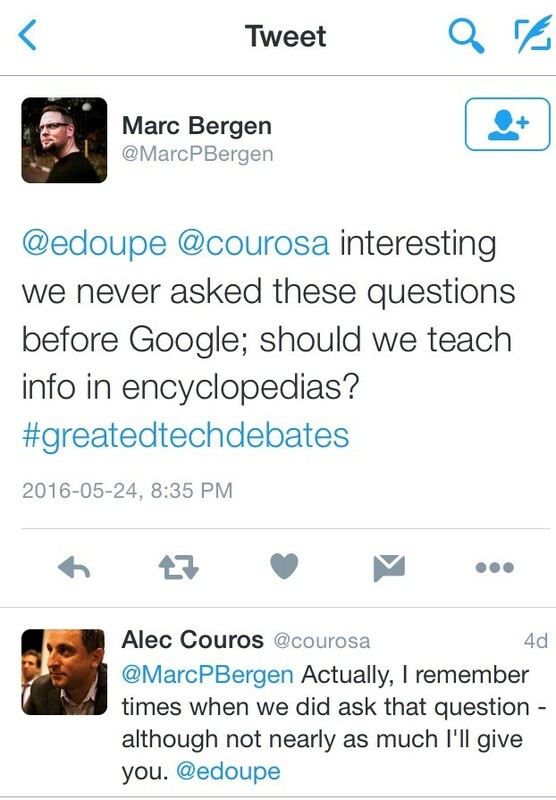 Do students know other ways to find resources and information other than using Google? It is convenient that students can turn to Google to find the answers to questions, but is that the best learning experience for students? Do students know how to tell if the information they found is authentic or from reputable source? Now in the world of the Internet people are able to create and curate. 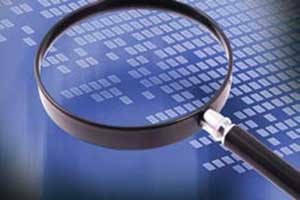 It is possible for people to upload documents on the Internet that may not be accurate. Students need to learn and understand how to decide whether information they’re reading is accurate and creditable. I was surprised like Chalyn when I read How the Internet is Changing Your Brain. I had no idea that “the average number of Google searches per day has grown from 9,800 in 1998 to over 4.7 trillion today.” It was very eye opening to me! In the article is also talked about a study and how “college students remembered less information when they knew they could easily access it later on the computer.” This is problematic as “Our brains use information stored in the long-term memory to facilitate critical thinking. We need these unique memories to understand and interact with the world around us.” What information are we not keeping in our long term memory because we know we can access it easily through technology? I read another article provided by the agree side called How Google Impacts The Way Students Think written by Terry Heick. I think Heick raised a very good point when he stated that, “if users can Google answers to the questions they’re given, they’re likely terrible questions.” We need to model good questioning skills to our students and help them grow as learners, just as Tyler’s cooperating teacher did as it was described in Tyler’s blog post. We want our students to be curious and learn how to ask great questions independently. 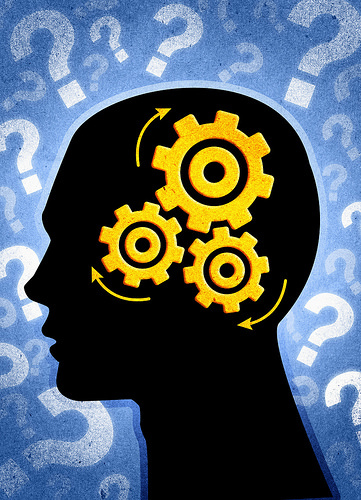 In the article Heick lists a few reasons in how Google is impacting the way students think. One of those ways was how “Google naturally suggests “answers” as stopping points.” I do not want my students to stop their learning once they think they have “found” the answers. I want my student to continue on their learning journey! 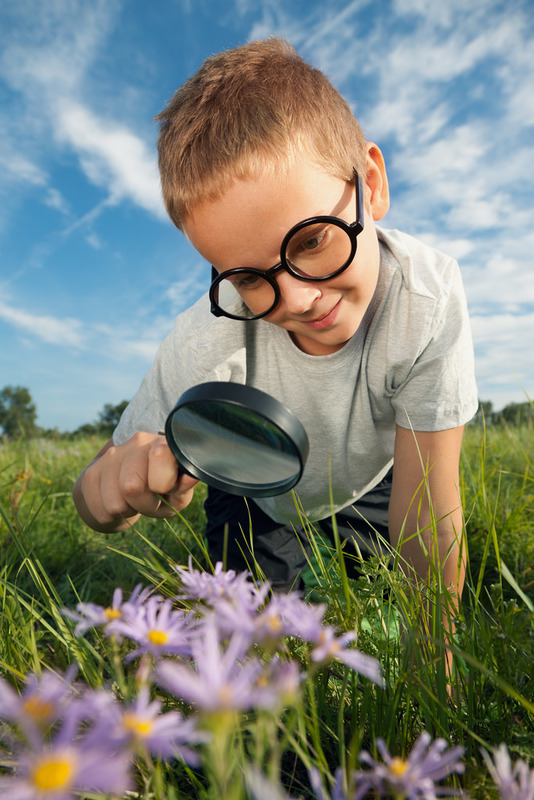 When exploring a topic there is so much to learn about and the learning should not stop after finding the answer. Students need to understand the materials and reflect after there assignment or lesson is over. In my classroom I have my students practice their math facts through playing games that I have created or other dice and cards games that I have learned from other educators. The only way you can become more fluent in a skill is through practice and students can “build conceptual understanding and fluency through games“. I really like all of the strategies that students learn now in math. I think I would have learned my facts faster if I was taught about doubles, doubles plus one/minus one, think ten, etc. Students also need a level of automaticity in reading as well. Tim Rasinski talks about three components of fluency and one is automaticity in word recognition. He discusses “Readers not only are accurate in word recognition, they are effortless or automatic in recognizing the words they encounter. The significance of achieving automaticity is that readers can devote their limited cognitive resources to the important task of comprehending the text.” Memorization is not always a dirty word…by being able to recall math facts and words helps students focus on a math problem and understanding the text. Ainsley wrote an excellent post about another debate and the end of that post caught my eye. She shared a link to an article that has a teacher describing what a classroom might possibly with look like and how it could be organized in the future. It made me reflect on when I was talking about the goals of education, but I could not remember the details. I was excited that Katia knew what I was talking about and shared the Goals of Education for Saskatchewan with the rest of the class. This document has not been updated since 1985 (I was not even born yet). It is time that we take a look at this document and update the goals with the vision of 21st century learners. In a previous post I reflected about my vision in what I want to do in my classroom after I took EC&I832. What is your philosophy of education? What should our education goals be?? I think it is important to know yourself as an educator. I completed two inventories (Teaching Perspectives Inventory (TPI) & Philosophy of Adult Education Inventory (PAEI)) in my EC&I804 Curriculum Development class and then we had to reflect on our teaching beliefs. I completed the inventories again and for the first inventory I ranked the highest in nurturing. In the second inventory I ranked the highest in progressive and humanistic. The PAEI inventory has a chart on the second page that breaks out the five philosophies into different categories: purpose(s), learner(s), teacher role, concepts & key words, methods, and people & programs. The chart makes sense to me because in EC&I804 from over two years ago I described in an assignment that I felt most philosophically aligned with Dewey because my philosophy is strongly progressivism. After two years I still believe that my grade two students learn better through cooperative and experiential learning. My job is to guide my students while posing questions to deepen their understanding. Social process is an important part of education because students learn better through interacting with others. If a student can explain or demonstrate what they have learned that validates a deeper understanding. Students are also more engaged in the learning if they are interested in the curriculum and when their needs are being met. I think it is important for teachers to take inventories because it was a good reminder that I need to include the other philosophies in my classroom. Every student is an individual and learns in their own unique way! Does Technology Enhance or Hinder Learning? Tuesday was a very exciting class as we had our very first debate and the topic was: Technology in the classroom enhances learning. Congratulations to Jeremy, Erin, Kyle, Kayla, Chalyn, and Steve for leading an excellent first debate. Before the two teams (agree and disagree) presented their side of the debate I already had my own opinion based on my experiences of being a student and a teacher as well as the knowledge I have gained through previous classes and readings that I have been exposed to. Does technology in the classroom enhance learning? I believe that technology does enhance learning for students in the classroom, but there are certain aspects of technology that does need to be considered. 1. Technology allows for differentiation. Students can use assistive technology to help them reach their personal goals in the classroom, especially the students who are struggling or may have a learning disability. Students can use the different tools to help them communicate with fellow peers in the classroom or display their learning to others. For example, in my classroom I have some students who struggle with writing and with the use of talk to text apps and devices they are able to independently complete assignments instead of having to rely on myself or another adult to scribe for them. I have also had students use iPads and other forms of technology in my classroom to help with verbal communication. In an article that the agree side shared with our class it explores differentiation and it lists the variety of types of assisted technology that can be used to help children learn in the classroom: written language assistive technology, reading assistive technology, mathematics assistive technology, listening assistive technology, and memory/organization assistive technology. I have seen technology open the doors for so many students and can provide them with opportunities to be successful in the classroom. All of the different technology can lead to equity for students in the classroom. I agreed with the article that “the choice of the appropriate use of AT [assistive technology], whether available or improvised, the right selection depends on the individual child, the skills problems, the setting and the particular tasks the child wants to achieve” (p. 18). “This implies that one tool used for a child may not be useful for another child in different setting” (p. 18). Every child is unique and has different learning needs to compared to other children in the classroom and when planning to use the different types of technology it is important to keep that in mind. 2. Technology allows for new learning opportunities to occur in the classroom. “Technology can equip students to independently organize their learning process” and this leads students who use technology to “become active users” (p. 6). Technology provides students to opportunity to take some responsibility for their learning (p. 6). Technology can lead teachers “to deliver more personalized learning” (p. 7). Technology can help provide feedback that can “guide the learning process” (p. 7). During the debate Andrew introduced to us a website that he uses in his classroom called Zooniverse. On the website it states that it “provides opportunities for people around the world to contribute to real discoveries in fields ranging from astronomy to zoology”. Andrew talked very highly of the learning opportunities that this website has provided to his students. There are so many more great websites that provide great learning experiences for students that they would never have access to if it was not for technology. This week Tyler shared and posted a video his blog post that showcased how technology improves student learning for students who attend Minnetonka schools. It would be amazing to have the opportunity to teach using the technology that was showcased in the video and to know how to implement the technology used effectively. While I was reading Andrew’s blog post “Learning With and Without Tech” he reminded me about a teaching experience when he talked about Chris Hadfield singing with students from across Canada during Music Monday. My students in my grade two classroom were able to watch Hadfield sing and they sung along with him through the use of technology. It was a very fun learning experience for my students and for the other students across Canada. We were able to take part in a fantastic learning experience without having to live in an urban center. Technology helps open the door for rural students! For example students are able to take classes online that might not be able to be offered due to many factors that occurs when attending schools in a rural area. They also can have access to many resources through using technology in the classroom. 3. Technology allows for students to make connections and learn from other people. I think it is amazing how technology has evolved over the years and Rick Schwier’s presentation on the History of Educational Technology from EC&I831 came to mind. I wrote a blog post after his presentation and reflected on how education and the tools we used has evolved when I was going to school as a young girl. Not only did he talk about how technology has evolved, but Schwier discussed how social media can allow people to make connections with others. He talked to us that humans are social people and communication skills is very important to have. Another educator who believes in the importance of making connections is Rita Pierson. In her Ted Talk “Every Kid Needs a Champion” she discussed how we need to start talking about “The value and importance of human connection…relationship.” Students can interact with others through apps, Twitter, blogging platforms, and many of the Google tools just to name a few. My students enjoy exploring other classroom blogs and sharing what they have been learning about on our classroom blog. I have not used Twitter before in my classroom, but it has been something that I have considered. I have seen blogging has not only improved my students writing, but their engagement in learning as well. It has also provided me the opportunity to teach my students how to be good digital citizens and teach them lessons about digital citizenship. 1. Teachers need to be trained in how to use technology effectively in the classroom and what new digital tools are available to use to enhance individual learning. For learning experiences using technology to be successful teachers need to have training in how to use the different tools and how to implement technology effectively in the classroom. If a teacher is not prepared and does not understand the digital tools then it could lead to classroom management problems and teachers not using instructional time effectively. The school division needs to provide professional development opportunities and train their teachers in how to effectively to use the different tools, especially if they are expecting them to use technology in the classroom. During the debate on Tuesday teacher training was discussed. I also think that many teachers do not know about all of the amazing tools that are available for them to use to help students individually in the classroom. 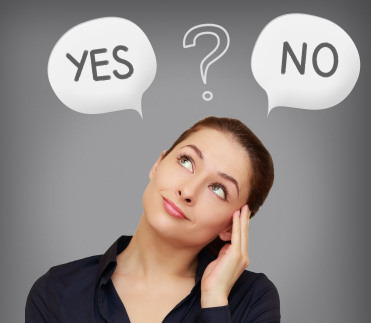 Teachers need time to explore the different opinions available in order to choose the best fit for their students and provide time for the student to understand how the learning tool works through modeling and coaching while they are using the tool. Someone in our EC&I830 class also made a great point on how teachers need to also take initiative in their own personal development. (I’m sorry my computer lost connection near the end of class and I was not able to save the chat to give credit to this person). I agree that as an educator there are many ways to gain professional development in a variety of areas through accessing professional development online. I could relate to Kyle DuMont’s blog post when he discussed how many people on staff go to him when they have questions about technology. For example, I have also have many people come to me when they have questions about their Smartboard. Over the past few years we have had a huge turnover of staff and they did not have the professional development that we had when the Smartboards were put in our classrooms. I have also experienced a problem when I plan for a substitute teacher because many of our substitute teachers do not know how to use some of the tools we use in our classroom. 2. The use of technology can be distractive to some students. Amy Scuka discussed about students being distracted in her blog post “Nothings Fine, I’m Torn.” I have not had too many experiences of students being distracted using technology because my students are only in grade two. 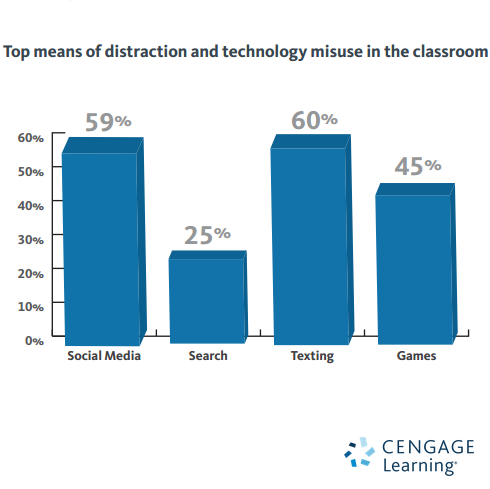 I can see how many teachers who teach upper elementary, middle year, and high school students can get distracted through using other tools or social media instead of completing an assignment. 3. Students are very connected to technology. During our class Sherry Turkle’s Ted Talk “Connected, but Alone?” was mentioned. She studies technology and people’s plugged in lives. In the video she talked about how the devices people use are so powerful “that they don’t only change what we do, they change who we are.” She explores how people are plugged in and how people “are losing the true connectedness with each other.” I was introduced to Turtle’s Ted Talk when I took EC&I832 and I discussed her ideas she explored in a blog post that I wrote on September 21st. Are we depending too much on technology? Are we teaching students to be too plugged into the world instead of living in the moment and interacting with others face to face instead of behind technology? There are many factors to consider when thinking about using technology in the classroom. I have only talked about some of the benefits and negative side to using technology. What are your thoughts on technology in the classroom? Does technology enhance or hinder learning in the classroom? Even through their are many factors to consider when using technology I still believe that technology enhances learning in the classroom! Do You Have A Digital Tattoo? What Story Does It Tell? This week I have been busy reading and viewing different articles and videos that have explored the topics digital identity and digital citizenship. During my search I came across Juan Enriquez‘s TED Talk. This video had me reflect on many of the assigned readings, viewings, and my classmates blog posts that I have read for my ECI 832 class over the last few weeks. At the beginning of the TED Talk Juan caught my attention when he started off by saying “lets take four subjects that go together big data, tattoos, immortality, and the Greeks.” I was curious how he was going to link those four subjects together and how those subjects all were going to relate to his TED Talk called Your Online Life, Permanent As A Tattoo. He went on to say that tattoos can shout and tell stories. Juan asked the audience if they had any tattoos. I began to think of my friends and family members that have a tattoo or have many tattoos. Almost all of them have a tattoo that has a story or a reason behind why they got their tattoo. Some people I know have birthdates or footprints/handprints of their children and grandchildren while others have a tattoo to symbolize the memory of a loved one that past away or it tells a story of a passion or a interest they have. Over the past few years I have been contemplating on getting a tattoo on my left shoulder or somewhere of my back. I picture my tattoo looking like a young girl with angel wings praying. When or if I ever get the tattoo it will symbolize and tell my story of a memory or image that I had in my head when I was seven years old and sick in the hospital battling Necrotizing Fasciitis (Flesh Eating Disease). When I was in the University Hospital in Saskatoon I remember seeing a little brunette girl with beautiful angel wings . I felt that I had a guardian angel watching over me. Even though it was twenty-one years ago I still have that vivid picture in my mind. Do you have a tattoo? Does your tattoo tell a story? Would people be able to tell your version of your story just by viewing your tattoo without you getting the opportunity to share with them and explain what your tattoo represents? Later on Juan mentioned all the things that many people interact with such as Facebook, Twitter, Google, Linkedln, cell phones, GPS, Travel Advisor, etc. and how they turn out to be electronic tattoos. He went onto state, “what if they provide as much information as who and what you are as any tattoo ever would?” So what does this mean for you? Now people can follow you and view your profiles through the use of technology and all of the different social media, apps, and cameras. More than ever people need to be mindful of what they post and share online using the different forms of social media. Every app downloaded, post, tweet, or picture shared begins to build and form your digital tattoo. Everything that you share online becomes apart of your digital identity or your digital footprint. When people view your posts, tweets, or pictures what story does it tell the viewers? Everyone needs to be mindful of what they share or post because one decision can change their life. I encourage you to watch Jon Ronson’s TED Talk How One Tweet Can Ruin Your Life. In that video the viewers learn about Justine Sacco and her how a tweet has not changed just her digital identity, but the way people view Justine due to the online shaming. In the end that one tweet led to Justine losing her job. I know if I could not be a teacher anymore that it would change my identity completely and I would feel very lost. 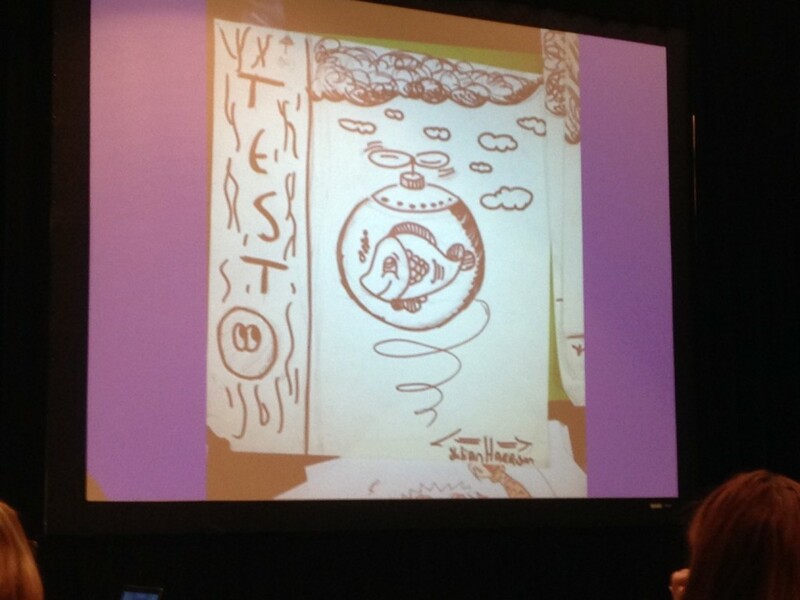 Justine Sacco’s digital tattoo and footprint changed in an instant from just that one tweet. 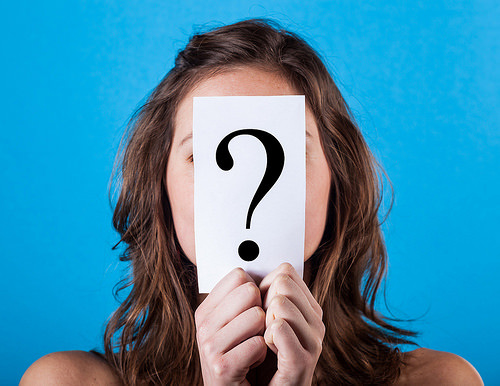 I encourage you to read Kristina Boutilier’s post called Has your identity changed over the years? I thought Jeffrey Rosen’s article on “The Web Means the End of Forgetting” that she discussed was very interesting. I have had the same struggles as Kristina. I also find is hard at times creating blog posts and putting your thoughts and feelings out there for the world to not only read, but critique as well. During a exhibition Andy Warhol stated that “In the future, everyone will be world-famous for 15 minutes.” Over the years Andy’s phrase has been tweaked and altered. Through doing some reading I found an article that discussed how an artist named Banksy created a piece of art and on the piece it stated “In the future, everybody will be anonymous for 15 minutes.” I agree with that quote more than ever as technology and social media has given people a format to post on and share to not only their friends and family, but to the entire world. You do not have to be a celebrity or a professional athlete to have an audience or followers online now. Just on Thursday night on Twitter I participated on the Fountas & Pinnell chat that explored Text Levels and if they are a tool or trouble. During that chat Fountas & Pinnell @fountaspinnell quoted one of my tweets that I shared with the other people that were participating in the chat. Fountas & Pinnell currently have 21.9K followers on Twitter. That same evening on Twitter The 2 Sisters @gailandjoan retweeted three of my tweets from that very same chat. They have 14.2K followers on Twitter. One of those three tweets now has had 30 engagements so far and 1139 people have seen my Tweet. Someone does not need to be famous to have a voice and to have their voice heard my hundreds and even thousands of people. Since I engage online and social media I am no longer anonymous anymore. 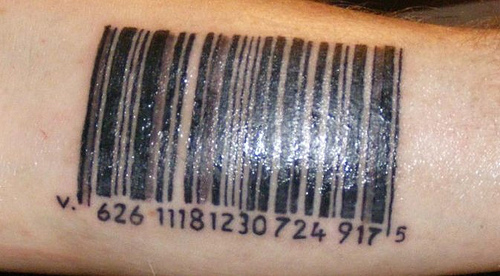 As Juan mentions in his TED Talk it is not just your electronic tattoo, but facial recognition now. I learned about a company called Face.com and how “the company had “discovered” 18 billion faces across its API and Facebook applications” and in 2012 this company sold to Facebook. I wonder how many of the faces that Face.com have discovered are children’s faces? What does facial recognition mean for child who are growing up in the digital age? Last week I read two articles called Welcome to the online world and Digital diaries. Both of the articles discussed children growing up in the digital world. With many parents participating in different forms of social media their children are no longer anonymous at birth and some children are not even anonymous before they were born as many parents post ultra sound pictures. Parents and other family members are the first people to start adding to their child’s digital identity as their posts start creating a digital tattoo or digital footprint for their child. I am curious to see these children’s reactions when they get older and what their options will be on what pictures, posts, or tweets were shared about them. So many children get embarrassed from that one picture that their parent points out in a family album, but now many family albums are digital and shared online so those embarrassing pictures maybe already shared with all their friends, family, and maybe even the world. I enjoyed reading Jeannine Whitehouse’s blog post called What will you leave behind? She brought forward many valid points about digital footprints and people’s digital identity. I could relate to when Jeannine discussed how she has friends who share a lot online about their family and their children while others friends are more private. I have friends that share daily about their family while I have some who do not feel comfortable sharing pictures of their children on social media. I believe it is a personal choice for each family! What are your beliefs about sharing pictures and information about children online? At the end of Juan’s TED Talk he leaves the audience to ponder when he stated “because of electronic tattoos maybe all of you and all of us are very close to immortality as these tattoos will live far longer than our bodies will.” Near the end of the TED Talk be begins discussing the different Greek lessons. He discusses with the audience about imagining being threatened by immortality as we are all threatened by immortality today because of digital tattoos. After listening to the end of his presentation I began to make the connection with Maeve Duggan’s article called Proposed law would clarify who gets access to a deceased person’s digital accounts that I read for class. When adults get older they often have a written document that outlines a beneficiary or have a written will that allows that person to chose who gets their money, valuables, and most importantly who will raise their child if both parents pass away. Will people need to add in a component discussing their digital accounts in their wills as well? As I was just finishing this blog post I came across a post called Two ways of thinking about social media: digital tattoos and virtual shadows from the TED Talk blog. In the beginning of the post the person discussed being at a concert and how many people were recording the show so they could view it later. In the post it was questioned if people truly experienced the show in the first place because they were so busy recording it. This reminded me of the conversations about being present in the moment and when Amy Scuka @AmyScuka shared a few weeks ago a great article that had a photo of a crowd of people taking pictures while one lady had a smile on her the face enjoying the moment instead of seeing witnessing it through a phone or lens. The article that Amy shared led to a great conversation! The TED Talk posts also took a closer look at two concepts: digital tattoos from Enriquez`s TED Talk and virtual shadow from Damon Brown`s TED Book, Our Virtual Shadow: Why We Are Obsessed with Documenting Our Lives Online. Have you heard of the concept virtual shadow before??? My mind has not turned off since I read and viewed all of the articles and videos for my EC&I832 class, especially since I watched the video called Do “Digital Natives” Exist? This video explores “digital natives” and “digital immigrants.” In the video they describe digital natives a group of people who were born and grew up along side technology. They have an familiarity of the technology and can speak the digital language. Where as digital immigrants were not born into the digital world, but later in life became fascinated by and adopted many aspects of technology. This “doesn’t just define an age range, but an intimate familiar with technology.” The video explored that digital immigrants may gain an digital accent when they become more exposed to technology. I could relate to what Jeannine Whitehorse commented on her blog. I also spent more time exploring David White’s continuum of “Visitor and Residents.” Like many of my classmates I prefer the wording and the ideas in David White’s video. I liked White’s ideas better because it doesn’t assign people to groups based on age and population as it did in the first video. I agree with looking at residents and visitors as a continuum. When reading Andrew Foreman’s blog post I discovered that Jennifer Stewart-Mitchell and himself both prefer the continuum as it used the visitor and resident as a classification. White’s video explored that digital visitors may go online and search for a specific topic, book a holiday or pay bills and then goes back offline again. Visitors are invisible as they do not leave any social traces online when interacting on the web in those spaces. While a resident leaves their mark and identity through blogging, commenting, posting videos, posting pictures, and/or posting other forms of written work in a series of places or spaces online. Residents live a portion of their lives out online. They choose to go online to be present with others and will leave a social trace and footprint. Their identity and trace will continue to stay there even if the resident is offline. When mapping out if you are a visitor or resident I like how there is a personal or institutional (professional) side to the map. People interact with different forms of media and tools differently depending on why and how they want to use it. It can be easier to learn about technology by being immersed in it from a young age, but does not mean a person can not become fluent in a skills if they were not raised with it. They can learn the digital language. When looking at visitors and residents age is not the factor, but it is based on engagement. It is a continuum and not just two solid groups. I liked how on the video it was explained to be more grey and not just black or white. Seeing the images on Jeremy Blacks’ and Jeannine’s blog posts inspired me to create my own map representing where I stand as a digital visitor and digital resident personally and institutionally (professionally). The impact of technology on young brains is as broad of a conversation like climate change. It can be highly controversial. It made me reflect on many of my classmates posts that critically explore people using devices such as cellphones and if we are not as present in the experience when are using those types of devices. It explored the brain and how if you practice juggling for a week then your brain is going to change. It had the viewers imagine people sitting at their computer for ten years and using the internet and how that would change the brain. The video explored how there is evidence that visual IQ is going up and spatial visualization skills are going up. It mentioned how people are becoming better at multitasking and experts of dividing their attention. But commented that it may lead to a problem-too much information or overload is turning people into scattered thinkers. Do you think people are becoming scattered thinkers? Later it explored that people are not digesting the knowledge, but becoming consumers. The video briefly introduced the term digital footprint. It made me reflect on all the footprints I have left in the places and spaces. I began to reflect on the places and spaces where I am a resistant and if I am a visitor in any spaces as well. The video also explored research tasks and compared how two different generations gather information when performing the research task. The digital immigrant took around 3 to 3 1/2 minutes to find the answer on the Internet while the digital native took around 30 seconds. The digital native was able to find the answer quickly, but lacked evaluation skills. The digital native choose the first article in Google where the digital immigrant took more time and compared sites. The digital immigrants answers were more correct than the digital native. Are we teaching our students to become critical thinkers when researching and evaluating websites? Do students lack evaluation skills? If so how can we help our students learn evaluation skills? The video discussed how text covered with links could lead to information being less absorbed than printed material. What do you think? I know I prefer text with links because the links usually allow me to get to know the topic better. The links can help give me a bigger picture and presents me with more information of what I am reading and learning about. During the video is also explored the idea of people being bombarded by e-mail, Twitter, ect. and that people go to responsive mode. It discussed how we no longer give ourselves the gift of switching off. That comment made me think of the “The IRL Fetish” article written by Nathan Jurgenson. I began to explore and think about how many people may believe if we turn or switch off our devices that we are offline. Through the readings it has taught me that when people engage in spaces as a resident their identity and footprint will continue stay online. Many spaces allow other people to interact with you even if you are not presently interacting in that space at the same time. Do people need to take more time away from being present and interacting online? I was happy to find this video because in one minute because I was able to show this to my husband to give him some insight into what I have been reading and viewing about over the past week and a half. The video pointed out that a resident uses the web as a place to gather knowledge and build relationships. A place where people create an identity online while connecting and contributing to an online community. Where as a visitor uses the web more as a tool or using it for a specific goal. At the end of the video it asks, “Which one are you?” This question opened the doors to a huge conversation between my husband and myself. I feel I am more of a digital resident and my husband feels he is more of a digital visitor. I have numerous e-mail accounts for work, university, and for personal use. I also have a classroom blog and a personal blog. I use Twitter, Pinterest, Snapchat, and Facebook. Some of those accounts are for personal use while others I use for professional use. My husband feels he is more of a visitor because he usually just uses his e-mail daily while he rarely interacts on his Twitter and Facebook accounts. The last time he was on Facebook was when he changed his status that he was married to me and the last time on Twitter he posted a Tweet back in April. Damon and I are both the same age so according to the Do “Digital Natives” Exist? Damon and I should both be “digital natives,” but that is not the case. Just because we are the same age does not mean we have had similar experiences while growing up and similar experiences with technology now. I appreciate the continuum more because it is not put people in a specific grouping based on age. The continuum looks at how much a person engages in technology and in online spaces. I appreciated reading Cortney’s blog post and reading her thoughts on feeling more like a “digital tourist.” I think often times people want to tour and visit a new space before they become a resident at that particular place. It takes time to feel comfortable in a new environment and to put yourself out there so the world can view, read, and listen to your opinions and what you have to offer the world. All of the articles and viewings have given me a lot to think and reflect about. What Does Media Literacy Mean To Me? In class we were asked to do a couple of readings and watch a Ted Talk to prepare for our class that explored the topic of Media Literacy. This was the first time I have ever thought about Media Literacy and what it means. In Chapter One: “Why Increase Media Literacy” James Potter wrote how “our culture is saturated with media messages” (p. 3). I never sat back to think about all the messages that a person views, reads, listens to, and watches throughout a day until I completed the readings. I started to think about what different kinds messages there are and how I have responded to the messages. I even thought about the lack of response I had when thinking back to some of the messages. It made me begin to think about my students and in the importance of teaching them the decision making process and how to make positive choices. Have you ever thought about the different messages you have been exposed to before? 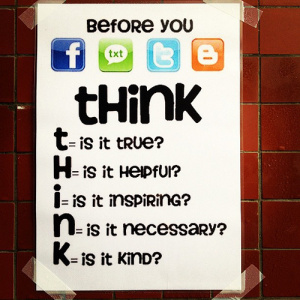 On September 15, 2014 I wrote a blog post entitled “Digital Citizenship Webinar.” At the end of the blog I discussed a poster that used the acronym THINK. This poster was created to remind people about thinking before they post or respond on any digital format or social media. I believe we can also use some of these ideas from the acronym to help us to be more critical when viewing media messages. What are your thoughts? Often people do not think about all the different forms of media we read and view. I have heard many educators voice their options of the importance of reading and writing, but viewing and the other ELA strands are just as important. In the chapter Potter explores how media is growing at a rapid pace and it is hard to keep up with all the knew technologies. Young children and youth are exposed to media on a daily basis and students interact with many forms of media. During the reading it caught my eye when Potter discussed how “everyone can generate and share information to large number of people every day” (p. 4). He talked about how people do not have to be professional artists, journalists, or filmmakers to share their messages using different forms of media. People are connected to media throughout their day and I never thought about how I am directly and indirectly connected to media. “Over the past three decades, every new survey of media use has shown that people on average have been increasing their exposure time every year” (Potter, p. 4). Later on in the chapter Potter explored how humans perform many tasks through developing automatic routines and went on to discuss a concept called automaticity. Throughout the day humans respond and view to so many different forms of media everyday that sometimes it becomes apart of our routine and we do not pay attention to everything we are viewing or reading. I believe that it is important to teach our students about media so they can become more media literate since they are developing more positive routines when interacting with media. It is also vital that they understand more about how they interact with media because their interactions can affect their digital footprint in either a positive or negative way. What are your thoughts with children and youth interacting with media? To prepare for my Monday’s class I also watched a Ted Talk by Sherry Turkle called “Connected, but Alone?” for my EC&I832 Digital Citizenship and Media Literacy class. Sherry Turkle studies technologies and people’s plugged in lives. She discussed and found that the devices are so powerful “that they don’t only change what we do, they change who we are.” In her Ted Talk she talked about how people are plugged in during meetings and texting others instead of being present with the people and the company that they have. Do you think people are not as present with the people they are interacting with in person? Are people too plugged in when their focus should be on someone or on another task at hand? Turkle talked about how “we are losing the true connectedness with each other.” In my family we decided that cell phones were not allowed at the supper table and we always turned off the television. Having family conversations was always important to my family! It did not matter if a family member was away or not we always took the time to sit around the table and talk about our day. I know when Damon and I start a family I want to continue that family tradition. It is so important to stay connected with each other and make the time for loved ones! The other day I was with some friends and one friend commented about feeling lost since their cell phone was left at home. I know many other people who felt that way when they have forgotten their phone before or their cell had to be sent away to get repaired. I usually always have my cellphone on me all the time, but when I walk into school I rarely look at my phone until I am finished work and leaving for home. I like being able to keep my mind on work and not get distracted. I try not to let my cell phone take over my life at home as well. I am still someone who prefers to have a conversation on the phone or talk using Face time. I am not a fan of having long conversations through text messaging. I do not feel like I get to connect with the person I am talking to if only have a conversation with them through texting. I know I do not give as much detail when I text someone a message compared to talking with them. However, I do know many people who are the opposite of me and prefer to text. Is technology changing who we are? Are people leading their lives too plugged into the world instead of living in the moment? Are we depending on technology too much? I know I will be reflecting on those questions throughout the next few months.